The Laboratory School of Finance and Technology is an exciting and innovative student-centered learning community that provides a rigorous academic program in a supportive environment. Our friendly and colorful classrooms are laboratories of intensive and challenging instruction. 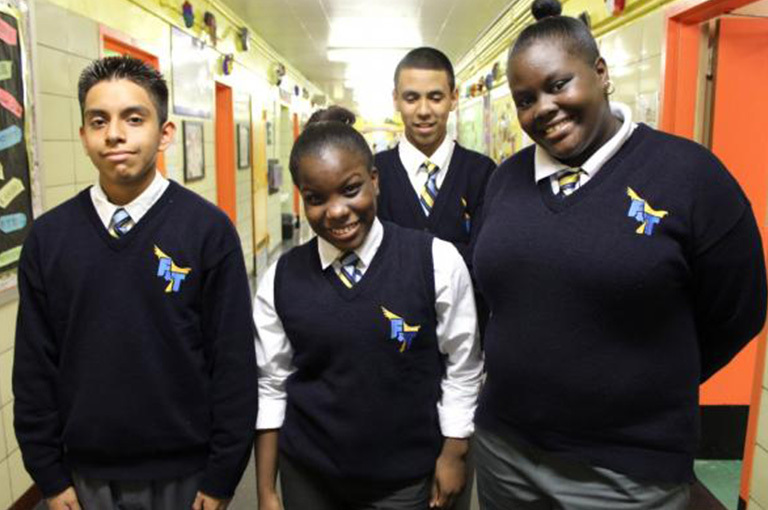 Located on the corner of 145th St. and 3rd Ave., The Lab School opened in September 2003 and had grown into one of the most popular and well-known middle schools in the entire Bronx. At the Laboratory School of Finance and Technology, our students are prepared for the future. They learn the skills to become successful adults. 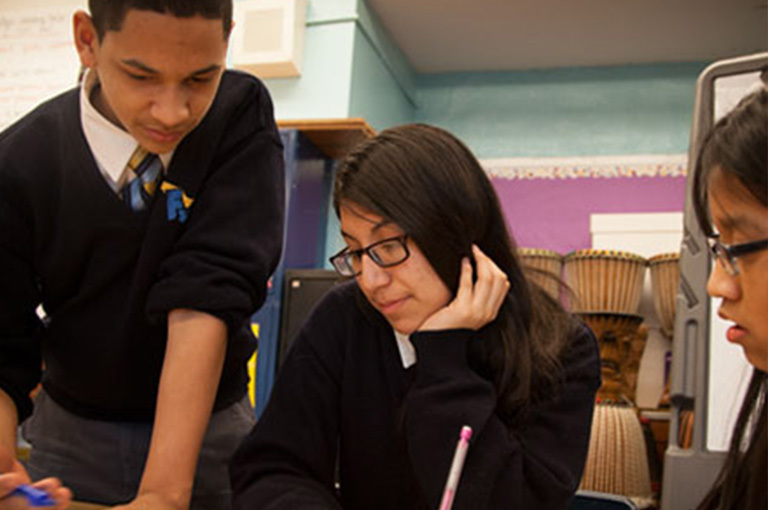 Our mission is to provide an engaging, rigorous academic program within a supportive and nurturing environment. We seek to expose our students to information technology and global commerce through a simulated economy and intensive technology training to prepare them to be successful in a rapidly changing world. We believe that learning becomes more meaningful when it is purposeful. Through active engagement, project-based learning and encouragement we will cultivate self-discipline and self-esteem among the members of our community and at the same time foster respect and consideration for others.